Check out the size of that....smokestack? That's right. The Pioneer Mill Smokestack is a tall piece of Hawaii's history in the sugar industry. 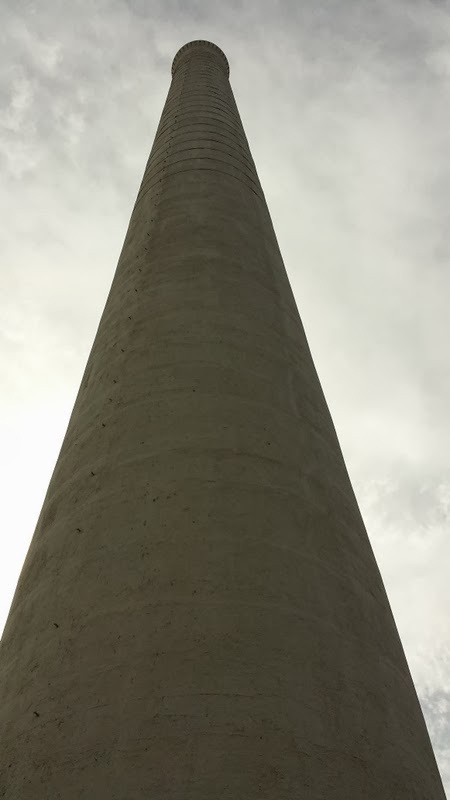 This stack was the tallest structure in the Hawaiian islands in the 1920s (I believe 1928 to be exact). It was such a recognizable feature from the sea that it was used for navigation. The city chose to to keep and refurbish it as a part of the local history. 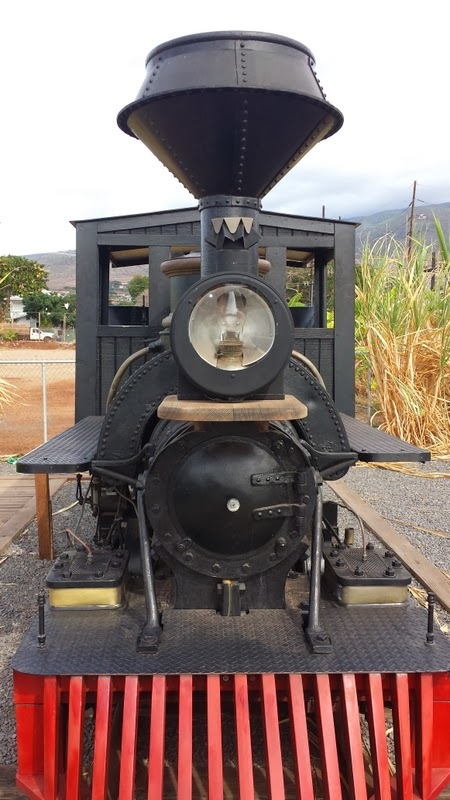 Yesterday, when I stopped for some coffee at Maui Grown Coffee (on Lahainaluna Rd if you're visiting), I explored the little historic park right next door. 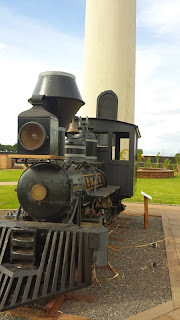 Home of this giant smokestack and information on Western Maui's history in the sugar cane industry. And trains. I don't have the same love affair with trains that some of my family has...but I certainly climb on them for photos on occasion. This time, I kept my feet on the ground. Another train...Mom this is for you! Now that I'm a little more settled into my new life, with my car here and my household goods on their way, I'm looking forward to doing a lot more Maui exploration. I can't wait to share it with you! If you have a favorite anything on Maui, please let me know in the comments or share on Facebook.